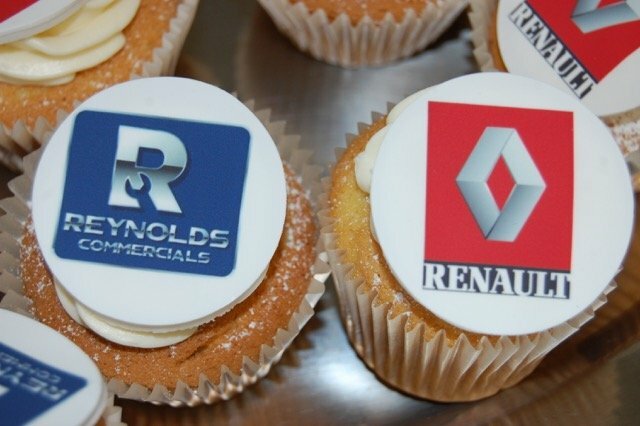 Last Saturday, 1 December, Reynold’s Commercials in Athlone held an open day to officially launch the acquisition of the Renault Trucks’ service and aftermarket dealership franchise. Owner and founder of the business, Paul Reynolds welcomed the invited guests and introduced a number of speakers which included Anthony Reynolds; Paul’s son, who delivered the keynote speech. Keith Lloyd, Training & Forensic Analysis Manager at Continental Automotive Trading UK Ltd gave an insightful and informative talk on “Smart Tachographs” and an explanation of the second-generation recording equipment that will be installed in vehicles registered for the first time as new regulations come into effect on 15 June 2019. Ciarán Murphy, Group Sales Manager for ProVision Vehicle Cameras gave a presentation on CameraMatics, which is an automotive IOT and the next evolution of vehicle telematics. 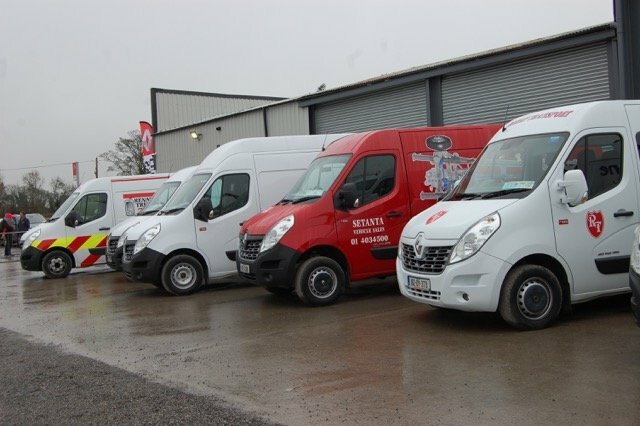 Harry Nash, Managing Director, Setanta Vehicle Sales, Renault Trucks Importers & Distributors thanked everyone who attended the launch and gave his best wishes to the Reynold’s family in the new venture and is looking forward to working together in the years ahead. Paul Reynolds started out his career as an apprentice with Frank Fahy Commercials in Athlone in 1978, before moving to a haulage company by the name of Underfoot Transport. From there, he joined his brother Liam for four years before setting up his own business in 1993 as a service garage for truck repairs. The original garage was a small space behind the family home. 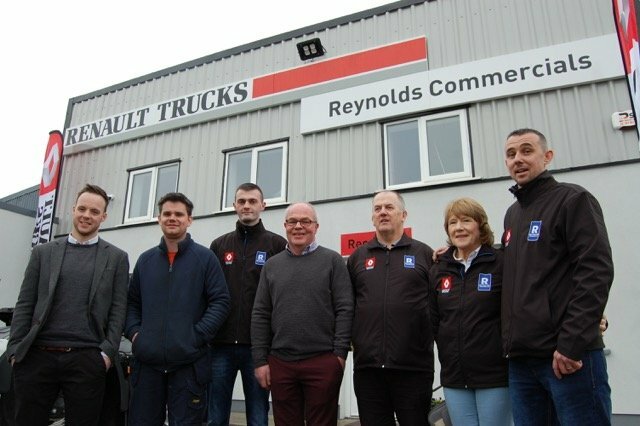 At that time it was a modest business, but twenty-five years later Reynold’s Commercials is a thriving company with fifteen staff, eight bays, five pits and full modern diagnostics capabilities. Paul has taken some apprentices, appreciating where he began his early career path. Just eight months ago Paul was joined in the business by his son Anthony. “I needed help to get it all up and running,” said Paul, as he proudly explained his son’s new role in the business. “I’m a mechanic, so I’m used to the tools, he’s more of a pen and paper man than me, he’s very good at computers”. Anthony studied accounting in University and has previously worked with the Central Bank, AIB and Aon Insurance before going into business with his father. Also in the past, Paul spent ten years with Irish Commercials, carrying out servicing and repairs for Volvo trucks. Over the years Paul gained a good reputation and now also holds the contract for the ESB Networks, contracted to maintaining its large fleet of small and heavy commercial vehicles for the company. 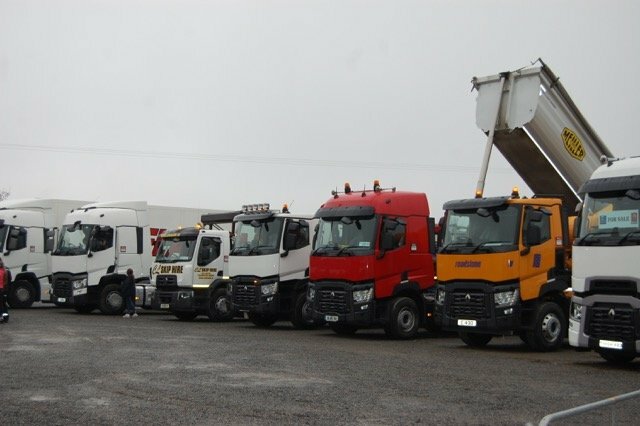 In addition to repairs, Reynolds Commercials provides a 24-hour breakdown and vehicle recovery service, truck sales, brake testing, diagnostics, vehicle hire and leasing, fleet management and spare parts.